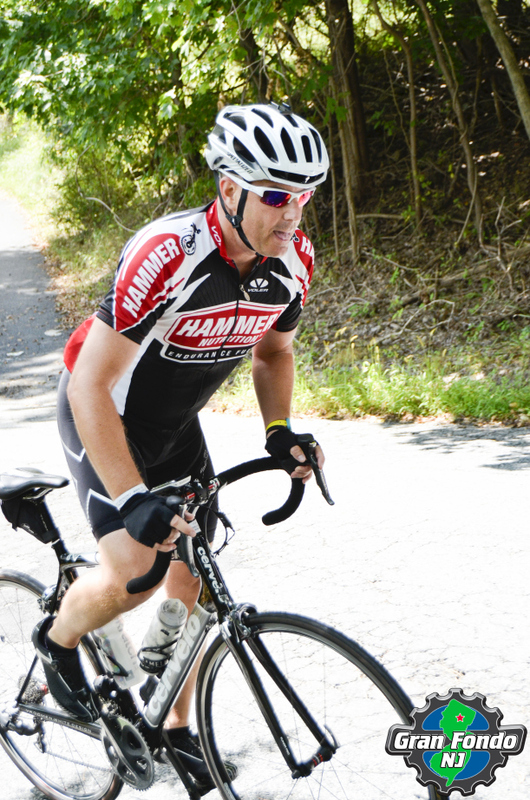 Throwback Gran Fondo: Or Why You NEVER Change Your Routine On Game Day! 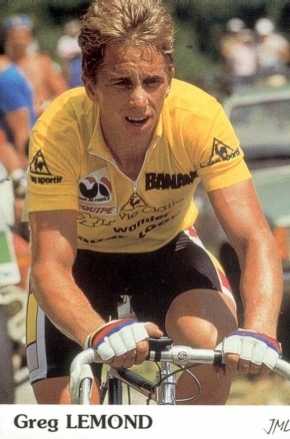 In 1986, Greg Lemond was the first American, in fact, the first English speaking person, to win the Tour De France. When you see pictures of the races in those days, the most striking thing you’ll notice is that they did not wear helmets. At least not in the TDF. It just looks weird. If I’m on a bike and I don’t have a helmet on, it just feels weird. So you can imagine on Sunday morning, in a parking lot in Morristown, NJ, ready to head over to the start area for the Gran Fondo NJ, I was a bit perturbed to discover I’d forgotten to bring my helmet. Angry not just that I’d forgotten it, but angry that the reason I’d forgotten it was because, as I’ve already learned NOT to do in the past, I changed my routine. Never, NEVER change your routine on race day. Don’t wear anything you haven’t worn before, don’t eat anything you haven’t eaten before, don’t do something you’ve never done before. I have a black Jansport backpack I carry all my ride gear in, not only to all my training rides, but to all my races as well. Everything was packed nicely in my backpack on Saturday. Earlier in the day I’d used a shopping bag to get my goodies at packet pick-up. For some reason I still can not fathom, I decided when packing on Saturday night, to use the shopping bag for my gear, instead of my backpack. When Sunday morning came I was all set to go, everything nicely situated in my Trader Joe’s recycled shopping bag……………except, of course, my helmet. 20 minutes prior to the start of a race, for which a helmet is required, never mind a safety practice which is inviolable, and I’m in a bit of a panic. Ah, but wait. The main sponsor for this event is the bike shop, right around the corner. Not that I really want to spend the money, but I can buy a helmet for this race. I’d already asked the only other riders still in the parking lot and they did not have an extra I could borrow. Now here’s an important business tip, boys and girls. If you are a bike shop and sponsoring a major ride in which thousands of people are participating, it might behoove you to have your store open the morning of the ride, even if it is 0700 on Sunday. I assure you that SOMEONE will want to buy something at the last minute. Oh well, your loss. I made my way to the start area, hoping the Expo, where there should be shops and vendors with gear would already be set up. Alas, they were not. I REALLY did not want to try and ride 107 miles without a helmet. Now I was thinking I was really in a pickle when it occurred to me to just call my sister and have them bring my helmet with them when they came to cheer me on. DUH!!! The first rest stop, at mile 21, was only about 20 minutes from their house. They could easily be there by the time it took me to ride there. Whew, crisis avoided. Yes, I got some funny looks at the start and along the way. Nobody said a word to me and luckily nobody from the organizers prevented me from starting, as riding helmetless is definitely a No-no. Thank you Michael, my brother-in-law, for the quick trip to Peapack-Gladstone to bring me my helmet. I felt MUCH better after getting that on my noggin. That faux-pas behind, the rest of the day was fantastic. Once again the weather gods had smiled upon me with a beautiful day for riding. The thunderstorms had cleared overnight and taken the awful humidity with them. Sunny, breezy and comfortable were the words of day as we rolled and climbed and descended through western NJ. There is a reason this course is listed on the 50 Greatest Rides in America. The scenery is beautiful, particularly the first and last third. Perhaps the most scenic ride I’ve done, it will change your perception of NJ if all you’ve ever known or heard about is what you see from the NJ Turnpike. Don’t let any of that fool you, the course is plenty challenging, with 8700 ft of climbing. The four timed climbs were especially tough reaching grades of 12%-15%. Once again, another great ride. Thanks to my parents, sister and nephew for coming out to support me. It’s always great to see friendly faces out on the course and at the finish. State #4 complete.